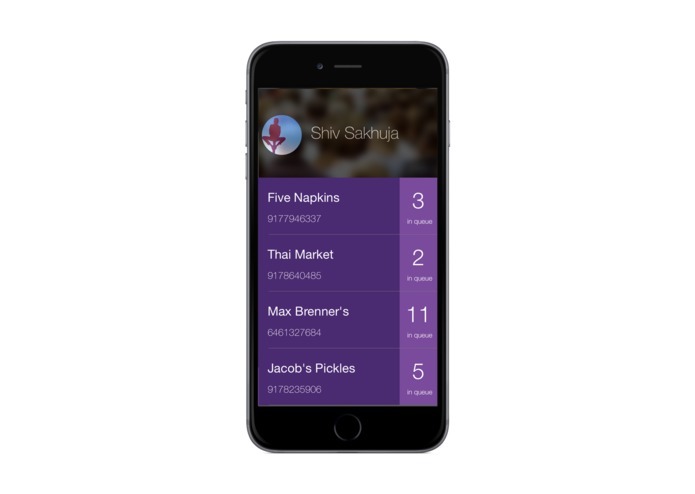 Restaurants can manage customer waitlist, buzz customers when their table is ready, bill and rate customers. 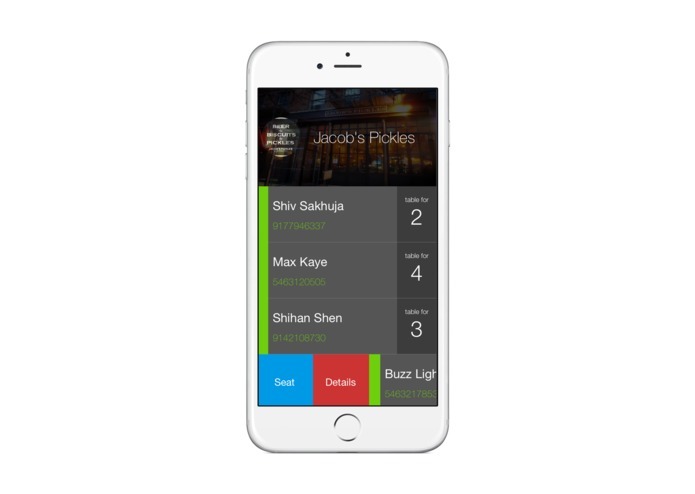 Buzzer: Restaurants can send customers notifications on their phones when their table is ready. 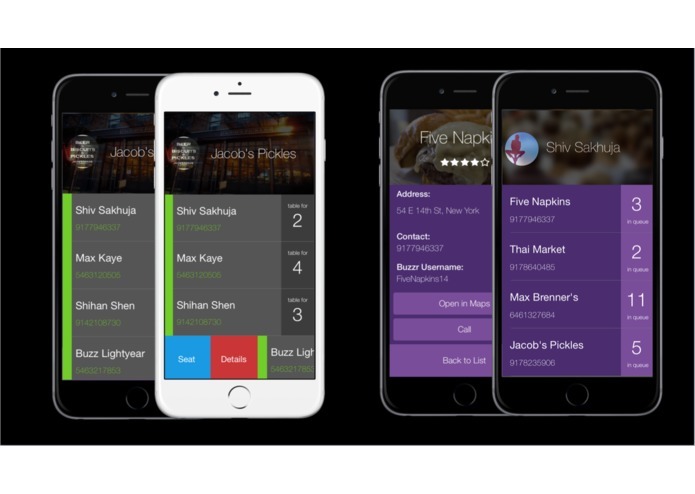 Unique Loyalty Rating System: Acquire new customers and minimize reservation defect rate by rating customers on their willingness to stick with the restaurant. 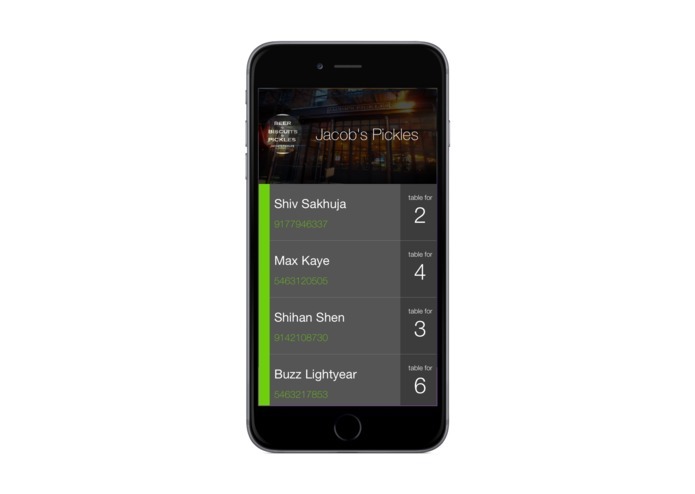 Intuitive and Easy to Use: Simple swipes to perform difficult actions such as updating the queue and informing customers through App and Text. Queue: Customer’s can view how many people are in front of them and approximate wait times. 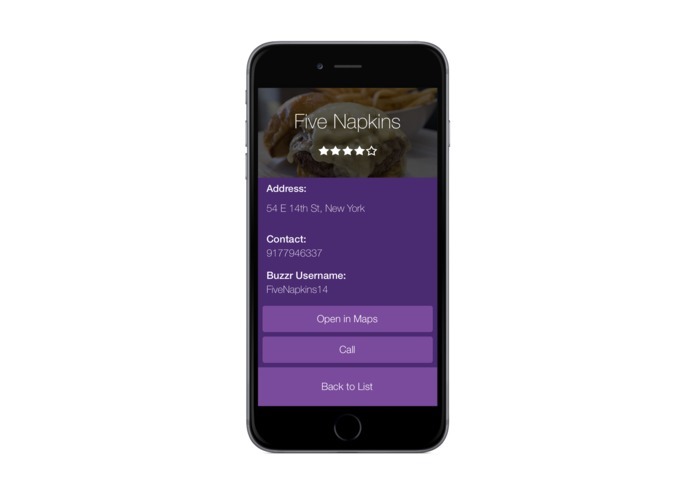 Favorites: Customer can add their favorite restaurants and later view its queue at any time.